An important part of a comfortable life is a clean living or working space. And it’s our goal to do whatever it takes to make sure that’s a part of your life. We’ve made it another priority to be always make sure that you’re satisfied with our services. We’ve designed our cleaning services to be customizable to your individual needs. If anything of the services offer needs to be altered or removed, or if anything needs to be added, we’ll be happy to make the changes. We make sure that all of our services are up to local codes and standards of Coconut Grove, and that they’re all environmentally friendly. If anyone in a building that we’re cleaning has any sensitivities to any chemicals or anything else, let us know and we’ll be sure not to use them. And if for any other reason you need any modifications or additions at all to our services, just let us know and our Coconut Grove housekeeping professionals will make sure you receive them. Call us today to schedule a cleaning. We’ll be looking forward to giving you a cleaner and happier living or working space. It’s not difficult to get busy these days, and lots of homeowners aren’t able to find the time to clean. And when you can find the time, you may be too stressed to use it for cleaning. Sometimes mobility issues or illnesses may keep you from getting cleaning done. The simple fact is, no one really has the time and energy to clean that they wish they did. Which is where our Coconut Grove housekeeping professionals come in. We can clean your home monthly if you just need a little help staying on top of things, or weekly if you have more trouble keeping it up. If you’ve just gotten behind lately and could use a little push forward, we’ll give you a one time cleaning whenever you need it. Our Coconut Grove housekeeping professionals will be thorough and thoroughly professional. And we guarantee our work will leave you with a clean living space you’ll enjoy spending time in. If you’re trying to rent out or sell a property, our Coconut Grove housekeeping professionals can help make the process much quicker. After a deep-clean to your property, it’ll look and feel better than ever, and you’ll find someone willing to take it in no time. If you have a vacation rental property, we can help you make a little more money off of it. We’ll minimize the time it takes you to clean the property in-between renters so you can maximize the amount of time you’re renting the property out. And your renters will notice the difference. Whether you have an office building with some clutter or have just finished construction on a commercial building, our Coconut Grove cleaning professionals can handle the job. With the best tools and procedures in the industry–and the best team of professionals on hand–we’ll tackle the job thoroughly and professionally. 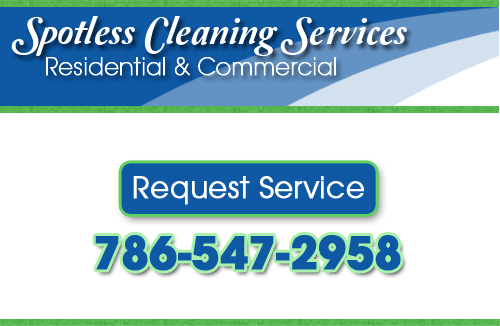 If you’re looking for Coconut Grove housekeeping or commercial cleaning professionals, call us at 786-547-2958 or fill out our online request form.